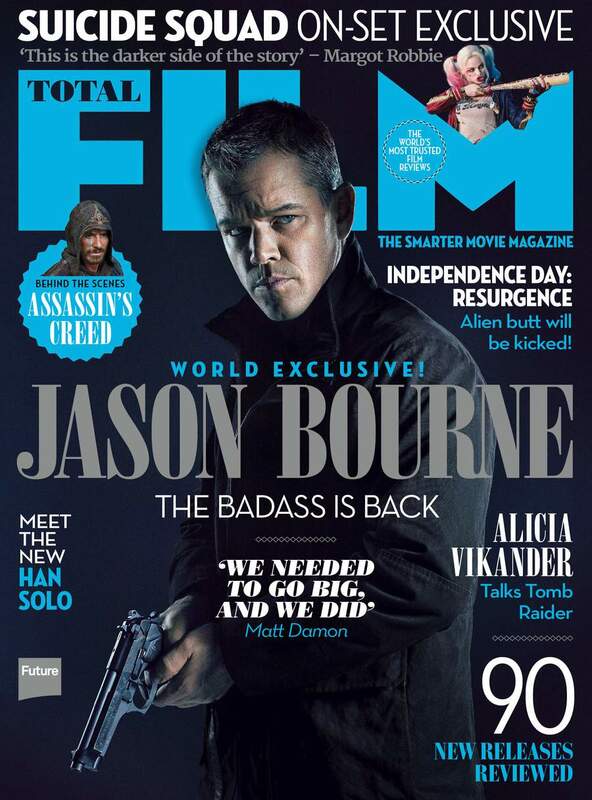 The latest issue of Total Film magazine may include some very interesting new intel on Suicide Squad, but it’s Matt Damon’s Jason Bourne who has taken centre stage on the cover. This time, that’s the name of both the character and movie, as chances are Universal wants to make it clear that this instalment is about the real deal after the disappointing previous chapter put the focus on Jeremy Renner’s Aaron Cross. Title aside, and Jason Bourne really does look great so far, especially with a cast made up of names like Alicia Vikander, Vincent Cassel, Scott Shepherd, Tommy Lee Jones and Julia Stiles. Despite being rumoured for years, it seemed like another instalment of the franchise revolving around the character it’s named after was never going to happen. Now that it is, anticipation is at an all-time high, but with 2016 already featuring a number of high profile box office disappointments, it will be interesting to see if there’s still an appetite for the spy’s adventures. Director Paul Greengrass is making his long anticipated return to the franchise with Jason Bourne after helming The Bourne Supremacy and The Bourne Ultimatum. The film is currently set to be released on July 29th, the date which was originally held by the Jeremy Renner led Bourne Legacy follow-up. However, after the tepid response to that movie, it’s hardly a surprise that Universal decided to prioritize Jason Bourne.